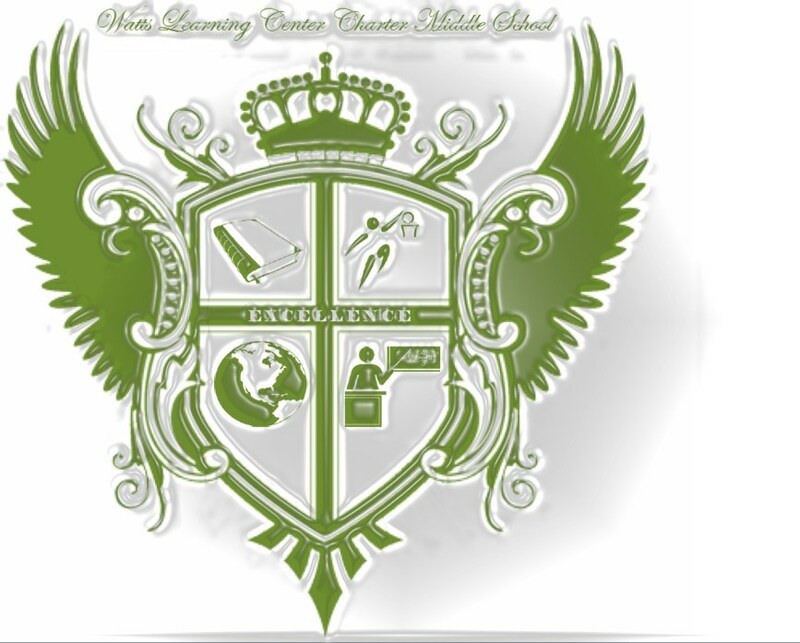 The WLC Charter Middle School’s mission is to provide a world-class education to inner-city students’ from low-income families to help them realize their full academic potential and to create a culture of learning in which all stakeholders-students, parents or guardians, faculty, and staff have clearly defined roles and expectations. The middle school’s vision is to make the Watts community synonymous with academic achievement rather than with riots and despair and to produce high-academic achievers who are self-confident, ethical, and motivated to be lifelong learners. Our students will possess proficient literacy skills, math and science proficiency, and technological competence. They will demonstrate knowledge and application of the arts, literature, history and social science, health, math, communication, science, problem solving, and work ethics. They will value friendship, responsibility, cultural diversity, quality of life and the democratic process. They will become well informed and highly aware of our interconnected world in order to pursue higher education and seek a professional career. The ultimate goal of Watts Learning Center Charter Middle School is to serve as a national model of how public education can provide students from under-served communities, especially, with a strong foundation in order to compete both academically and socially in this 21st Century global economy. In 1997, the Watts Learning Center opened in South Los Angeles, becoming one of the first three independent charter schools approved in the Los Angeles Unified School District (LAUSD). Founded with the belief that all students can learn when supplied with a rigorous curriculum, academic support, and held to high standards, Watts Learning Center (WLC) steadily built up its student body and its reputation as an academically rigorous K-5 elementary school and one of the top-scoring elementary schools in South L.A. The Watts Learning Center (WLC) is truly one of the remarkable educational improvement and empowerment stories in the state of California, if not the nation. WLC opened its doors in 1997 in Watts, California. Watts, known by many as the location of the infamous Watts riots of 1965, continues to be one of the most under-served, disenfranchised, and economically deprived communities in the nation. This 2.12 square mile region of the city is home to approximately 37,000 residents. It is one of the youngest and poorest communities in the state of California, with a median age of 21, and according to the US Census Bureau residents have a median household income of $25,000. The community has long been beset by drugs, crime, gangs, and higher than average homicide rates. Only 2.9% of Watts’ residents have a four-year college degree, and their schools have been labeled as some of the most under performing in the state. It is against this back drop that the WLC emerges. In a community that has been typically overlooked, under-served and under educated, WLC provided a semblance of educational hope and possibility to a community that desperately needed it. In 1997, Gene and Sandra Fisher along with key community leaders opened the doors to the K-5 Watts Learning Center Charter School. The school opened up to a community where approximately 92% of the students were on free and reduced lunch, and all of the students were African American and Latino. The community has one of the highest foster care rates of children in all of Los Angeles County, and academic outcomes from many of the neighboring schools are among the lowest in the state. Over the next decade what transpired in the WLC has been simply remarkable. During the first decade of the new century, WLC was recognized as a California Distinguished School as well as the California Charter School Association Charter School of the Year for its dramatic improvement. In 2011, WLC earned a state academic performance index (API) of 852, ranking it as one of the highest in the state. In 2013, WLC continued to demonstrate outstanding academic growth for any school, but in particular for a school in south Los Angeles, by posting an API of 852. The school has consistently outperformed similar nearby public schools and consistently performs in the top decile statewide when compared to demographically similar schools. In 2009-10, Los Angeles Unified's African American students' API score was 725 - 133 points below Watts Learning Center's. The school also demonstrated success in accelerating the performance of its students. For example, in 2010 the school's fourth grade class increased its English Language Arts proficiency by 29% and math proficiency by 31% when compared to their performance from the prior year. The demand for access to the WLC has grown exponentially, with residents from across Los Angeles County seeking an opportunity to enroll their children at this phenomenal learning center. The success of the WLC spurred a tremendous outpour from parents and community members to provide an extension of the success that was being enjoyed at the K-5 level into middle school. This call for an academically enriching middle school is warranted given the dismal options that parents and students have with two of the neighboring schools to the WLC elementary school being among the poorest performing schools in the city and the state. The Fishers and the board of directors, seeing the need in the community responded to the call by pushing forward to opening the doors to the WLC middle school in the fall of 2009. What is important to note is that the Watts Learning Center Charter Middle School received the approval of the charter in August of 2009, approximately 2 weeks before the start of the academic year. Moreover, the site that was approved for the opening of the school was on the campus of 112th Street Elementary School in south Los Angeles, adjacent to the largest public housing development in the nation (Nickerson Gardens). Far from the ideal location to open a new middle school, many recommended that given the late notice upon which the charter was received and the site for the middle school to open, that the WLC Board delay opening the school for a year. Conventional wisdom would agree with the idea of taking time to put the appropriate steps in place before opening a school for such a critical time in children’s educational development. However the WLC Board decided that there was no time to delay for the start of the transformation in the educational development of these students. The temporary site had limited space for students, restricted access to school resources, and was located in a community that has had its share of crime. Opening the school at this site posed many challenges that affected students’ experiences academically, socially, and emotionally. Weighing the pros and cons of opening the new middle school in 2009, the Fishers and board moved forward with opening the school with tremendous odds stacked against them for the school’s success. Arguably the biggest challenge in success for the schools was its feeder elementary schools. The majority of the students attending the WLC middle school were coming from schools where they had not received the solid academic foundation that is essential to success at the middle school. Most of these feeder schools had API’s in the 500-600 point range, high teacher turnover and student mobility. Although a small percentage of the students at the middle school transitioned from the elementary school, most of the new students were not familiar with the WLC culture and core values of achievement, respect, commitment, integrity, community and acceptance that are staples at the elementary school. Thus, getting new students to buy into a new cultural paradigm around educational success has been a challenge. This is especially difficult at a time when many middle school students are encountering a plethora of social, emotional, psychological, and physiological challenges and transitions. Furthermore, a close analysis of student socioeconomic status, mobility rates, parental education, and other important demographic variables would suggest that the population of students attending WLC Middle School are some of the most vulnerable youth in the city. It goes without stating that getting students who have historically under performed to become high performers is a task that takes time. While each and every year of a student’s education is precious, the establishment of a school culture, getting students to develop the habits of mind that are required for academic success requires a sustained commitment to building the right staff, identifying the best teachers, having consistent programming, and offering academic enrichment and social support services that support all development of young people. The enormity and the complexity of this task is a familiar one for the WLC. The success of the WLC elementary school did not occur over night. It took several years to build the type of first class learning environment that it is today. The WLC has shown at the elementary level that this is possible. With the establishment of the WLC middle school at a brand new site, it is well on the way to achieving similar success as its elementary school counterpart. A hard copy of the latest SARC is also maintained in the School Office for your review.